The vitamins, minerals, enzymes and proteins you need to function at full performance. 75mg of Papain enzyme from Papaya. 23 Vitamins and minerals with iron! Betaine HCL and enzyme blend. It provides 182mg of digestive enzymes per tablet. Enzyme blend with betaine HCl. It provides 225mg of enzyme blend. With calcium. Multienzyme blend in vegetable capsules. It provides 171mg of digestive enzymes per daily dose. Sustained release protein. 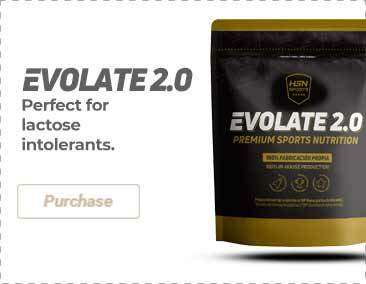 Enriched with maltodextrin and creatine monohydrate. 100% microfiltered whey protein isolate. Fat/lactose FREE. The small black seeds found in the papaya are like valuable pearls, as they indicate the high nutrient content in this tropical fruit. The papaya has always been adored by primitive people because of its curative properties. Currently, it has also been used in occidental medicine for the production of medications and cosmetic products, denoting its high value in health and aesthetics. The papaya has been classified as “the fruit of the angels” due to its curative properties. These tropical fruits, orange coloured, are sweet and juicy. They are made of a pulp and black seeds, that can also be used. En Europe they are available all year round. These fruits are refreshing, delicious and very low in calories, therefore they are ideal to be included in our diet. In addition, regularly eating this fruit will provide us with a series of important health benefits. Briefly, we will discuss the benefits provided by papaya for our health. Consuming papaya, whether it is in the shape of a fruit, in salads, shakes or freshly squeezed juice, or as a dietary supplement, it supports digestion and alleviates gastrointestinal discomforts, abdominal distension, indigestion and constipation. Papaya pulp contains multiple nutrients, such as papain, an enzyme that facilitates digestion. Green papayas have the highest levels of papain, thus it is perfect to be eaten in salads, especially typical Chinese salads. Papain is also found in the leaves of the papaya tree. The function that it carries out in our digestive tract is a chemical reaction by means of which the proteins that we have eaten in food are broken down into amino acids that can immediately be used by our body. At the same time, this protein protects our organism from inflammatory processes which are the cause of many types of illnesses, for example rheumatism. The rest of the ingredients of this fruit are essential nutrients, some of which have powerful antioxidant actions. Especially noteworthy are its high quantities of Vitamin A, Vitamin C, Vitamin E and beta-carotene. It is also a source of Magnesium, Potassium, Vitamin B, Folic acid and Pantothenic acid (B5). It is also primary for our intestinal health due to its fiber content. The papain and fiber that is contained in the papaya does not only provide benefits to our digestive system, it also has been proven, in animal experiments, to work in treating gastric ulcers. this concentrated papaya extract may be a natural alternative to treat human ulcers. 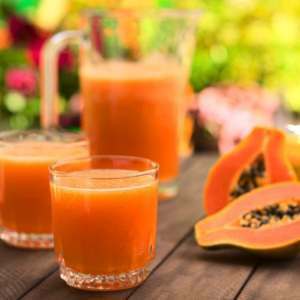 Additionally, the proteolytic enzyme called papain, found in the papaya, may also fight intestinal parasites and strengthen the immune system. Papain also has properties to be able to fight viruses, allergens and fungus in the intestines. Eating this fruit after an antibiotic treatment has many benefits, as it helps to restore the balance of the healthy intestinal bacteria and strengthen the immune system cells, which has a preventive effect against cancer. 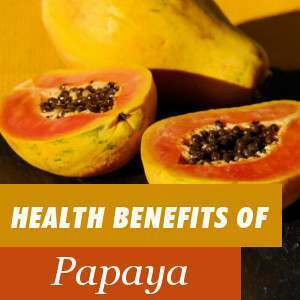 Traditional medicine has started to recognize the benefits of papaya for our health. Currently there are more than six hundred valid studies assessing the curative power of the papaya against cancer. There are some countries, like Australia, in which the Health Minister officially promotes the cultivation of these fruits, that are considered medicinal plants against cancer. Many universities perform laboratory trials aimed at testing the properties of papayas for fighting different types of cancer, including breast cancer, cervical, pancreatic, liver and lung cancer. For these studies, researchers usually use dry leaf papaya extract. All of these studies have found that, following the consumption of papaya extract, the growth of cancer cells was reduced within 24 hours. Other studies suggest that, in addition to the papain enzyme, the papaya contains other ingredients from the mustard oil group, that have shown to be effective to fight other types of cancer, such as colon cancer and leukaemia. Lastly, other studies have demonstrated the efficiency of papaya to fight prostate cancer, for the antioxidants it contains, in particular lycopene. The epidemiological studies note the high bioavailability of lycopene, which allows it to be absorbed quickly by the bodies and tissues, protecting the prostate cells against the cancer. This study concluded that men that include papaya in their diet, reduce up to 83% the possibilities of developing prostate cancer. Papaya seeds, specially fight acidification. Nowadays, it is known that cancer cells grow and develop faster in an acidic environment, therefore papaya seeds contribute to prevent the onset of cancer. If you examine the ingredients of the best antiaging treatments and cosmetics, you will see that most of them contain papaya extract. Papaya extract is the best natural product to combat wrinkles, therefore it is a source of youth. Papain enzyme, of which we have spoken previously for its digestive benefits, also has antioxidant properties that enhance the skin’s condition and appearance. Specifically, it accelerates the healing of wounds, it increases skin elasticity and prevents the appearance of wrinkles. Papain helps to eliminate the dead skin cells, preventing pores from obstructing and thus avoiding acne, at the same time as it smooths the top layer of the skin and reduces wrinkles. The high content of Vitamin C in papayas stimulates the production of collagen. Thanks to this, after applying it on skin, the skin has a better appearance, firmer and smoother. On the other, the antioxidants that it contains, like betacarotene and vitamins A and E improve the skin’s appearance and strengthens hair and nails. Additionally, its topical use, applying it on the skin in the shape of a mask or cream, can even make sun blemishes or freckles disappear. Make a mask mixing one third of the pulp of this fruit with an egg yolk, avocado, a teaspoon of honey and a teaspoon of olive oil. Clean skin with water and, after drying, apply the mask, avoiding contour of the eyes. Leave 15 minutes for it to act, and remove mask with hot water. The results are incredible, a healthy, glowing and revitalized skin! If you like this tip share it on Facebook. Your friends on Facebook will love it and be able to enjoy it just like you.